We are always striving to make the maintenance of your company as easy as possible – that’s why we’ve created a new web portal and customer wallboard. With our new customer web portal, you’re able to overcome daily challenges you face as a business and effectively manage your designated maintenance team. You’ll be able to manage all aspects of your company’s maintenance needs and with the new and improved features, such as enhanced searching options, reporting modules and compliance navigation options, you’re able to improve your company’s productivity as well as monitoring all your jobs information. 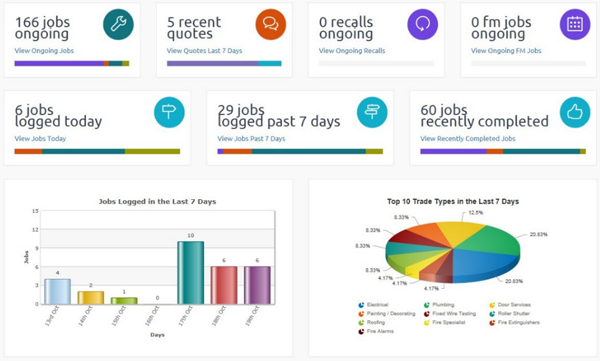 In addition to compliment the web portal MSL have developed a customer wallboard to help you integrate processes, people, places and technology to provide an overview of all your facility related information on a single screen. With this customer wallboard, you can track events as they happen live and it will highlight those properties that are flagged as encountering critical and high priority issues to help your company run efficiently and your staff to work as productively as possible. We have invested in our IT development to enhance our customers’ experience. We have made search options faster, data exporting more extensive and easier whilst adding new functionality. 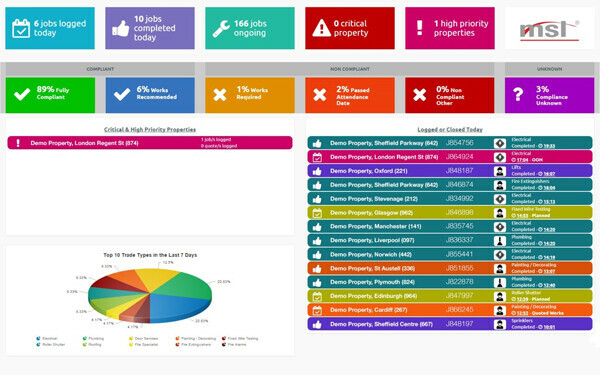 Our compliance module is particularly powerful allowing you to view the overall compliance status of your estate by discipline or by property. You can see service profiles and visit frequencies, view and download certificates and create an asset register for each property. If you are interested in learning how MSL can help you with your maintenance needs get in touch today! Call us today on 0333 1234450 or fill out the form on our contact page and we will get back to you. View the range of Facilities Management services offered by MSL. MSL is a facilities management company that responds, delivers and anticipates your needs.